A sincere thank you to our Friends of MIP sponsors that have generously given to our program. To become a sponsor, please contact vp@friendsofmip.com. ​Halcyon Dermatology, located in Laguna Hills, California, was founded by Dr. Kathy Lee. Dr. Kathy Lee grew up in Indiana and attended Washington University in St. Louis where she received her undergraduate degree, Masters degree, and Doctor of Medicine degree. She completed her internship in Internal Medicine and Dermatology residency at Indiana University in Indianapolis. Dr. Lee is a Diplomate of the American Board of Dermatology (Board Certified) and a fellow of the American Academy of Dermatology. She previously served on the Accreditation Council for Graduate Medical Education (ACGME) Residency Review Committee for Dermatology and as the national president of the Asian Pacific American Medical Students' Association (APAMSA). Dr. Lee's clinical interests include medical and pediatric dermatology, lasers, ethnic skin, and cosmetic dermatology. 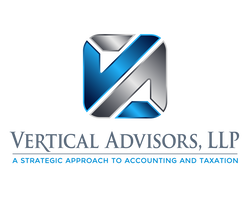 Vertical Advisors LLP (VA) is a next generation CPA & Business Advisory firm. VA is a full-service CPA firm that specifically focuses on privately held businesses and the owners, and high-net worth individuals. VA provides MORE services than a traditional CPA firm so we can help our clients grow and evolve. We are a proud sponsor of the MIP program to help our children grow and evolve. The Huntington Learning Center is a K-12 leader in tutoring and test prep that also offers instruction specifically for ADHD students. When my sister and I were bitten with the entrepreneur bug, we knew we wanted to offer families a service that was meaningful and could make a difference in a child’s life. We understand that no two children are alike and we are committed to giving each student the best education possible. Huntington has a proven individualized tutoring system from certified teachers to help with Reading, Writing, Math, Vocabulary, Spelling, Study Skills, and Phonics. We know there is nothing more precious to you than your child. As mothers, we take pride in caring for your children as if they were our own. Experience the Huntington Advantage and make us your tutoring choice. We will donate an additional 10% of your student’s enrollment back to the MIP Foundation. Contact us to learn more about our program.